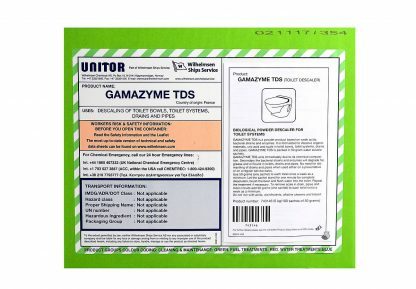 Unitor Gamazyme? Toilet Descaler is used for descaling toilet bowls, toilet systems, drains and pipes. 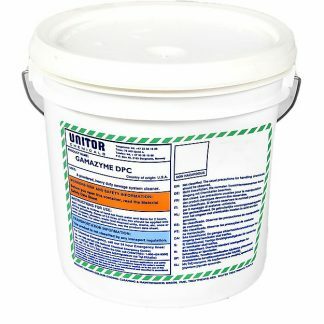 One 5 kg carton contains 100 sachets of 50 grams. 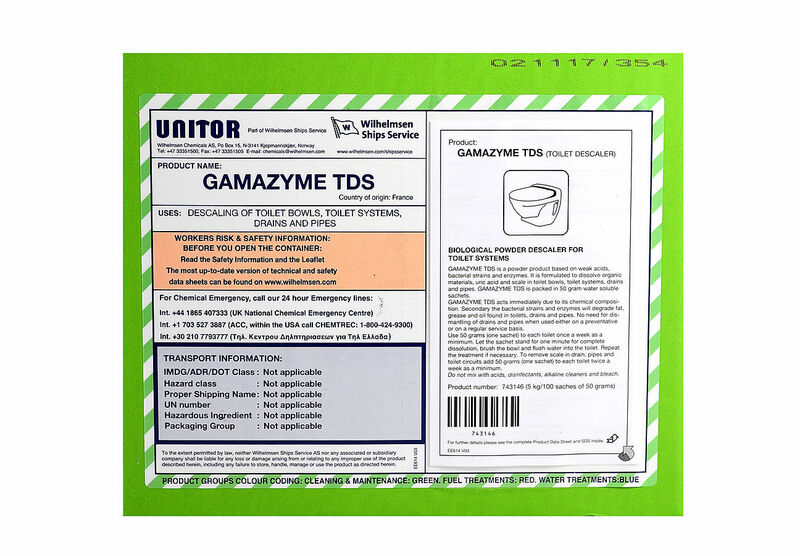 Unitor Gamazyme Toilet Descaler is based on weak acids, bacterial strains and enzymes formulated to dissolve organic materials, uric acid and scale. It is packed in 50 gram water soluble sachets. Acts immediately due to its chemical composition. 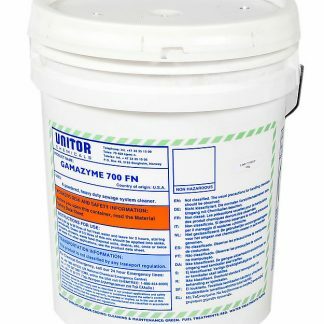 Secondary action due to its micro-organisms capable of digesting fat, grease and oil found in toilets, drains and pipes. No need for dismantling of drains and pipes when used either on a preventative or on a regular service basis. 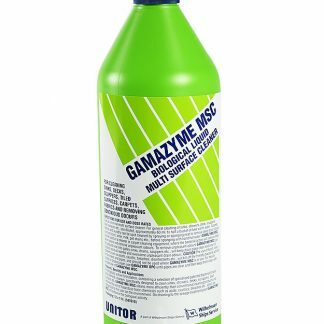 Features include, Biological powder descaler and Formulation based on weak acids bacterial strains and enzymes. Benefits are, Removes uric acid and deposits; Descales both inorganic and organic material; Immediate action due to its chemical composition; Digests fat, grease, and oil in toilets, drains and pipes; Descales toilet bowls, toilet systems, drain and pipes; Leaves a fresh smell.